A huge fireball from a meteorite was so bright that it lit up the sky in broad daylight, and was seen over multiple U.S. states. People in the Northeastern United States got quite an unexpected show in the middle of the day this week after an incredibly bright meteorite flashes across the sky. Nearly 200 people saw the fireball on Wednesday afternoon, and the American Meteor Society says that they received reports from New Jersey, Pennsylvania, Massachusetts, Rhode Island, Connecticut, New York, New Hampshire, Maryland, and Delaware. The bright meteor happened right around the time that Orionid meteor shower reaches its peak. 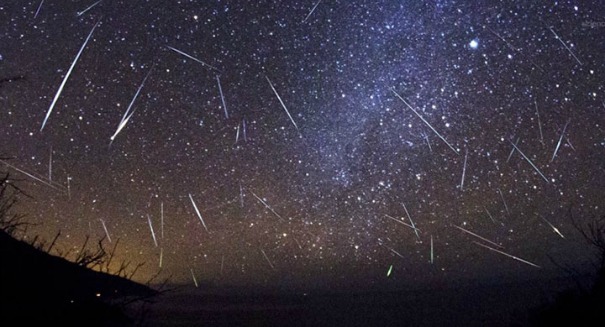 The meteor shower is a regular occurrence when the Earth passes through debris left behind by Haley’s Comet, and the shower reached its peak late Friday night into early Saturday morning. You can watch video of the fireball at the bottom of this post. Meteors are large chunks of rock or metal that are up to a meter wide, but are smaller than asteroids. They slam into the Earth’s atmosphere and then burn up quickly, rarely reaching the ground.